Welcome to the April 2018 issue of The Transportist, especially to our new readers. As always you can follow along at the blog or on Twitter. 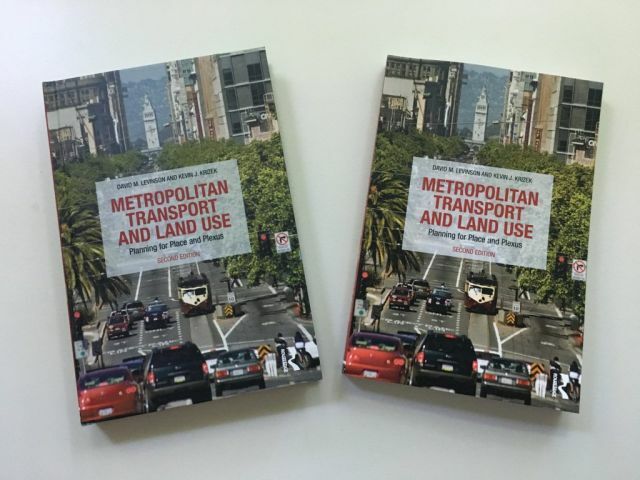 Thank you to all who purchased Elements of Access and Metropolitan Transport and Land Use in recent months. Copies are still available. How much time is spent at traffic signals? I’m beginning to think Uber gives capitalism a bad name. 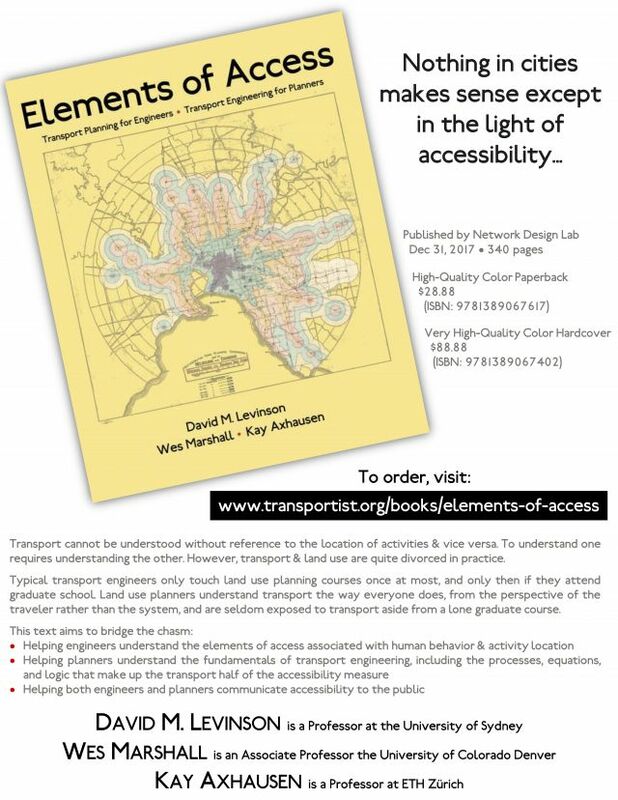 Elements of Access: Transport Planning for Engineers, Transport Engineering for Planners. By David M. Levinson, Wes Marshall, Kay Axhausen. 342 pages, 164 Images (most in color). Published by the Network Design Lab. Nothing in cities makes sense except in the light of accessibility. Transport cannot be understood without reference to the location of activities (land use), and vice versa. To understand one requires understanding the other. However, for a variety of historical reasons, transport and land use are quite divorced in practice. Typical transport engineers only touch land use planning courses once at most, and only then if they attend graduate school. Land use planners understand transport the way everyone does, from the perspective of the traveler, not of the system, and are seldom exposed to transport aside from, at best, a lone course in graduate school. This text aims to bridge the chasm, helping engineers understand the elements of access that are associated not only with traffic, but also with human behavior and activity location, and helping planners understand the technology underlying transport engineering, the processes, equations, and logic that make up the transport half of the accessibility measure. It aims to help both communicate accessibility to the public. 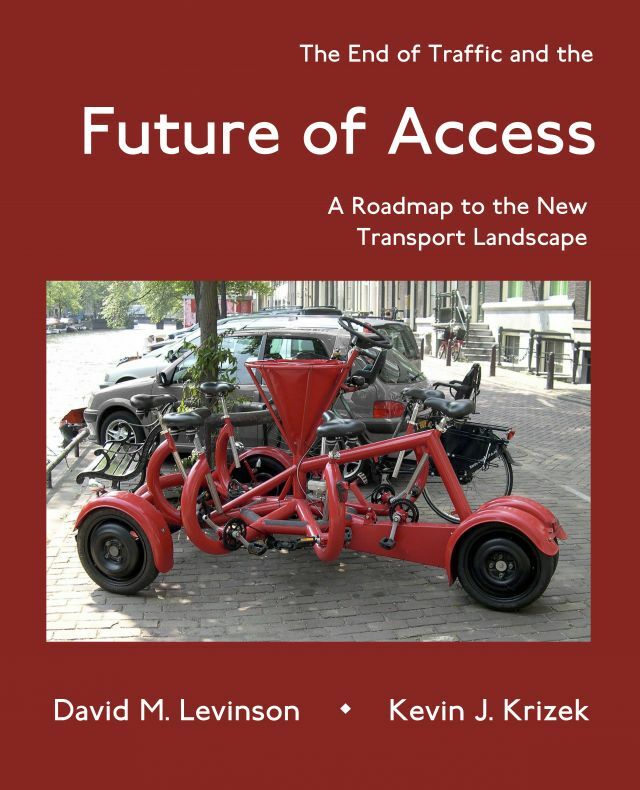 The End of Traffic and the Future of Access: A Roadmap to the New Transport Landscape. [3rd Edition] By David M. Levinson and Kevin J. Krizek. In this book we propose the welcome notion that traffic—as most people have come to know it—is ending and why. We depict a transport context in most communities where new opportunities are created by the collision of slow, medium, and fast moving technologies. We then unfold a framework to think more broadly about concepts of transport and accessibility. In this framework, transport systems are being augmented with a range of information technologies; it invokes fresh flows of goods and information. We discuss large scale trends that are revolutionizing the transport landscape: electrification, automation, the sharing economy, and big data. Based on all of this, the final chapters offer strategies to shape the future of infrastructure needs and priorities. Metropolitan Transport and Land Use: Planning for Place and Plexus [2nd Edition] By David M. Levinson and Kevin J. Krizek. As cities around the globe respond to rapid technological changes and political pressures, coordinated transport and land use planning is an often targeted aim. Metropolitan Transport and Land Use, the second edition of Planning for Place and Plexus, provides unique and updated perspectives on metropolitan transport networks and land use planning, challenging current planning strategies, offering frameworks to understand and evaluate policy, and suggesting alternative solutions. The book includes current and cutting-edge theory, findings, and recommendations which are cleverly illustrated throughout using international examples. This revised work continues to serve as a valuable resource for students, researchers, practitioners, and policy advisors working across transport, land use, and planning.